I am planning to offer the OSHA 8 Hr Annual Refresher for Chamber Members. Please register via email including your 40 Hr Certification for proof of Base Class Completion. Class limited to first 50 with a minimum class of 10 to conduct class. Call with any questions. $25.00 for members $35.00 for non members. Call Jim Meldrum for questions. 309-756-2292 or Jmeldrum@Hazwoper.com or JM@HESMC.org. 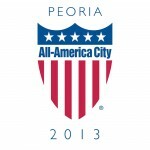 To be announced, however will be in the metro Peoria area typically within 5 miles of downtown.